Welcome to Cain's Auto and Marine Service! ​Cain's Auto and Marine was started in 1981 as a Mercury/Mercruiser, Johnson/Evinrude, and Volvo Penta dealership and marine repair facility. We have since added the Yamaha brand to our dealership as well. 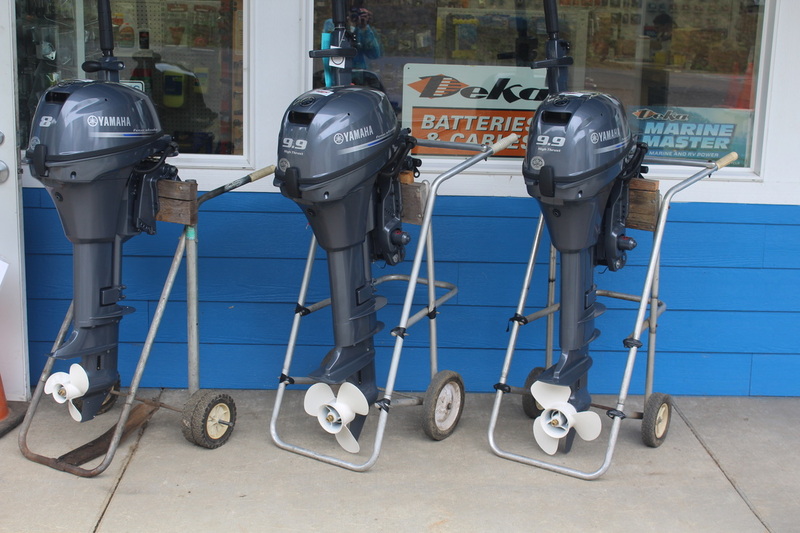 We currently carry many Yamaha outboards in stock! We are also a dealer in King trailers, EZ Loader trailers, and Shoreland'r trailers. New for 2016, We now have a full line of retail auto parts in stock! We are also the only Shoreland'r boat trailer dealer on the west coast! We are your one stop shop and service for all of your auto and marine needs. Located in the Pacific Northwest (Clallam Bay /Sekiu, WA) Cain's Auto and Marine Service is conveniently located near many popular fishing destinations. Cain's Auto and Marine Service has factory trained technicians on staff and provides boat repairs and storage as well as full auto repair services. Forgot something? Cain's has a marine retail store for all your boating and marine needs. (Think flares, vests, hardware, and lures). Vehicle not running smoothly? Let our technicians work on it. We have an ASE master technician on staff to help. Thank you for all your business and support over the years! We look forward to helping you with all your Marine and Automotive needs in the future! Stop in and take a look at all the new additions in our new store! Just a few of our Yamaha motors that we have in stock!